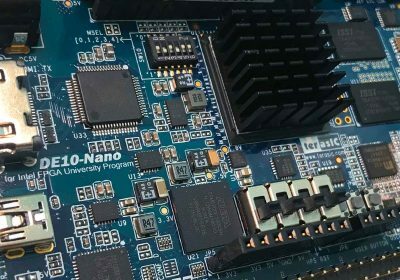 Usually, when you get a new-to-you console or you boot up an emulator for the first time (try NesterDC, for instance), you can usually find or remember the major games to check out. But what happens when you need something different to play? This is where the “Hidden Gems” come in. “You are Bang, a secret agent of some kind (apparently, details about your history & mission have been cut from the English translation of this game.. any Japanese speakers want to write me and fill in the blanks?). While relaxing on the beach with your girlfriend Mary, word comes from HQ that Professor Plum has been kidnapped and is being forced to make a doomsday bomb! As if that’s not bad enough, there’s also a very powerful demon preparing to fill and/or end the world with his (her?) nasty eggs. The demon is in no way related to the doomsday plot, but you’ll end up resolving both problems and, as a result, saving the world from TWO separate catastrophes. You’ll also learn several valuable life lessons and even the secret history of mankind…. super-villian extraordinaire. You see, Sutekh has recently slain the vaguely ‘Noid-ish (as in the Domino’s pizza mascot, star of his own fairly wretched NES game) formerly reigning superhero of the city, Vortex. You, as Nightshade, must wander the city’s streets, searching for clues, defeating villains, and attempting to gain favor with the denizens of Metro City. As the game opens (after a brief expository sequence) you have just been tied to a chair by Sutekh, who has left a bomb waiting to blow you to smithereens. “First up is a game I personally believe gets an unfair rep, Street Fighter 2010 for the NES. Now, I’ll be honest, it’s quite possibly the worst “Street Fighter” game ever made (perhaps second to Street Fighter the Movie the Game), but if you completely ignore the title, this is one of the better games to come out during the end of the original Nintendo’s lifespan. 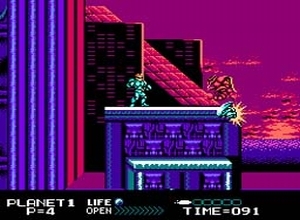 Gameplay-wise, this is a platformer, though extensive levels filled with cannon-fodder bad guys is cut back in exchange for one boss battle after another, to give it the appearance of a fighting game. However, as you can probably guess, there is no two-player option. “Guardian Legend is a unique game in which you play as a female character that can transform into a spaceship as she battles to save earth from the evil forces of the planet Naju. 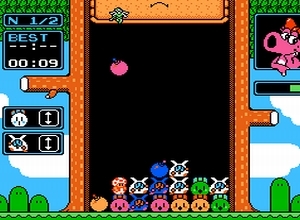 The basic gameplay can sort of be described as Zelda meets Blaster Master meets Zanac. Guardian Legend’s gameplay is divided into both an adventure mode and shooting stages, which sets it apart from almost any other game I’ve played. 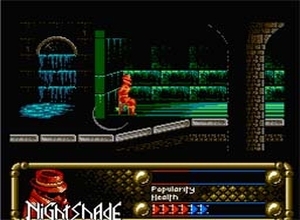 The adventure mode uses a grid-based system (a la Legend of Zelda) in which you walk around freely as the Guardian’s human form. Although these segments are very easy, I liked exploring them, and I’m glad the areas weren’t overly large and confusing. 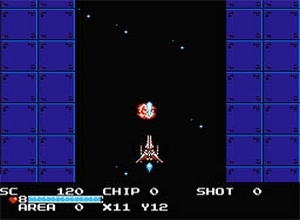 Gradius, Gradius 2, Xevious, Super Xevious, Tiger Heli, Millipede, Galaga, Defender, Defender II, 1942, Twinbee, Fantasy Zone, Parodius Da! “SNK’s action RPG classic, Crystalis, basically takes everything that made the original Legend of Zelda for the NES so good, and makes it exponentially better. 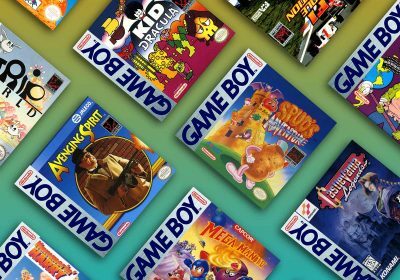 The original Zelda was pretty much the template for the genre, so one would expect the formula to be improved as more and more Action RPGs graced the big grey box. Well, Zelda II: the Adventure of Link was a big let-down to many a Zelda-fan, if mostly due to the side-scrolling point of view. 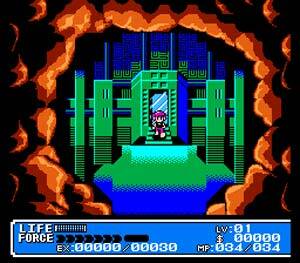 Crystalis is everything the Zelda sequel should’ve been, and my personal favorite Action RPG made for the NES. “This charming little game challenges you to solve increasingly complex puzzles in a series of castle rooms. You control Lolo, a loveable blue ball with arms, legs, and two big eyes. Each stage requires both quick reflexes and thoughtful strategy. You need to carefully slide blocks, avoid monsters, and efficiently use power-ups in order to open the single chest in each room. The rooms are a single screen in size. You can the view the layout of each room before starting, so use the opportunity to plan your strategy. “I remember playing Galaxy 5000 in my childhood, and while I don’t like typical racing games, I do like games where you get to drive vehicles around and blow crap up. 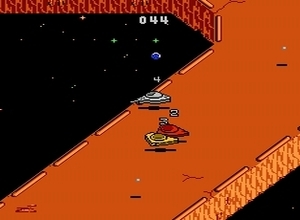 Galaxy 5000 should be considered to be the NES gameplay predecessor of the SNES classic Rock and Roll Racing. 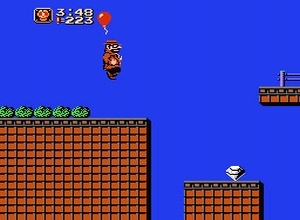 The graphics are quite good for an NES game, and the sound effects are nice too. 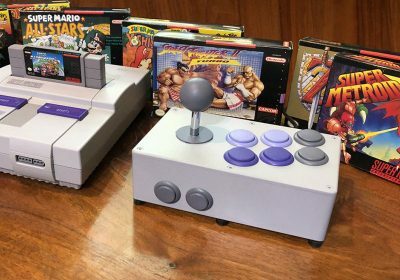 “Super Dodge Ball as made by Technos, who also released one of the best fighting games for the NES, River City Ransom. 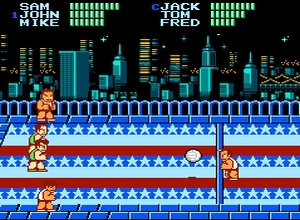 The characters in the NES version of Super Dodge Ball look almost exactly like the characters from River City Ransom (the screenshot on the right is from the NES version). 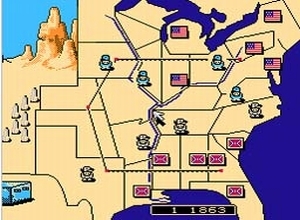 “Players take control over either the yankee pigdog Union armies or the slavery-loving Confederate rebels in North & South, a Civil War simulation released in 1990. Each side takes turns strategically moving their armies across the map, hoping to wipe out the opposition and take over their bases. The more bases you own, the more money you get when the train rolls into town. The more money you have, the more armies you can buy to help crush the enemy. 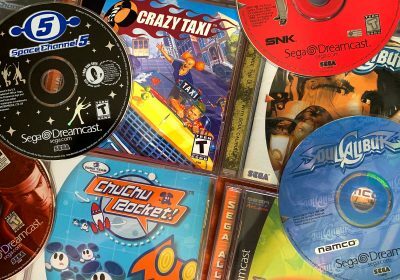 Another absolutely fantatic post… BTW, have you heard of the Famocom only Takeshi no Chousenjou game? What? Mighty Final Fight isn’t listed under beat ’em ups? For shame! And gnome, I haven’t heard of Takeshi no Chousenjou either — I’ll have to look into that as well. 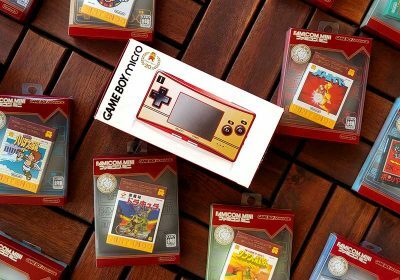 Enjoyed the post, I’m a huge fan of the NES and agree with most of your picks. 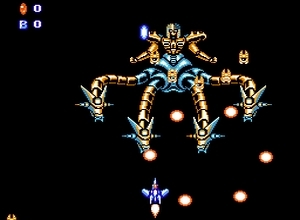 I would also recommend the Power Blade games for the action section, they are quite good. 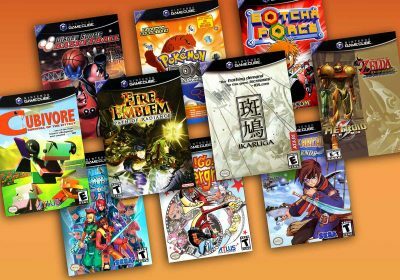 Also under RPGs I would recommend Legend of the Ghost Lion (I believe that is the complete title). It is basically a pretty straight forward RPG similar to the original Dragon Warrior. Good choice going with Street Fighter 2010.
you should also menchen GunNac, another underrated Shmup game. Thanks for the recommendation, everyone — I hope to add them soon! Platformer – I highly recommend Ufouria (PAL release), wonderful in every way. You add characters with different abilities as you go along and switch as necessary. 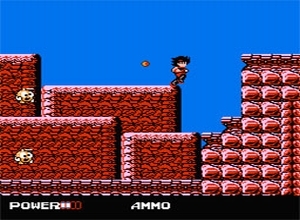 Action – Ninja Crusaders, great game with the ability to transform into different animals with different abilities. Adventure – The Goonies II, awesome search and puzzle game. Nice selection, however you are missing magic johnsons fast break! I think that game is a great basketball game, it’s a 2×2 full court set, features an image of magic which commends you on good shots and calls out penalties etc. I really think you should consider including it. You should also add Mr. Gimmick (platformer) and Super Spy Hunter (action/racing) which are little known but absolutely amazing games from Sunsoft made late in the systems life. Some of the best graphics I have ever seen in an NES game, and fun to boot! While I agree with most of the above games, The Three Stooges has no business on this list. Some games I think should be on here are Roadblasters, Operation Wolf and Wild Gunman. Two other games released only in Japan that should be here are Sweet Home and Splatterhouse. Dude, Baseball Stars was the best sports game for the NES… Period. In fact, it’s probably still the best overall baseball game of all time. The best sports game on the NES is without a doubt Base Wars. You forgot Magician. Magician is #1 on my list of hidden gems of the NES. 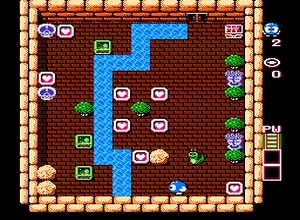 If you’re going to add Famicom-only titles to the list, I’d like to recommend Bio Miracle Bokutte Upa (platformer) and Moai-Kun (puzzle). 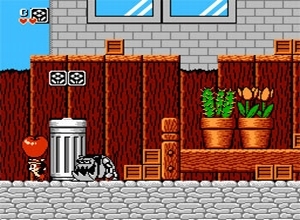 you totally missed ‘elevator action’ and ‘toobin’ by far my favorite NES games of all time. Glad to see Super Dodge Ball make the list. The game is such a cult hit, but a lot of people never played it growing up. My friend and I dig the game so much we started a webcomic based on it (http://www.superdodgeballcomics.com). Now we’re hoping to find an audience amongst the game’s fans. Check it out! For sports I loved American Gladiators. The cheap voice sample always amused me for some reason.